We listed up our recommendations for you ! MonotaRO offers Flexible hoses and more. You can buy them anytime from our Singapore online store. Compatible: TOTO one-touch socket-type faucet extension for TKG31-inch / 32-inch / 38-inch, TKF38 type, TK300ARX, TK301ARX, TL384 type, Overall Length (mm): 500, Caution: * The hot-water supply temperature is up to 85 degree C.
See more results of "Flexible hoses"
Flexible Metal Hose and Flexible Metal Hoses and other special offers. Flexible Metal Hoses and Flexible Metal Hose and other special offers. 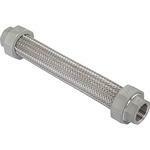 For more details of Flexible Metal Hose NFK Metal Touch and Flexible Metal Hose, click here ! Our recommendation, Flexible Hose and Flexible Duct Hose 3m. Flexible Flanged Shaft Coupling and Flanged Type Flexible Shaft Coupling and other alternatives. Find Perfect Flexible Pipe and PIPE BENDER FOR STAINLESS FLEXIBLE PIPE For Your Need ! Our recommendation, Flexible Duct Hose 3m and Flexible Duct. Wire Cover Flexible Cable and Course Thread With Flexible Cable and other MonotaRO's offers ! Check our Flexible Curve Ruler and METL LINE Ratchet Sutbby Screwdriver here as well !